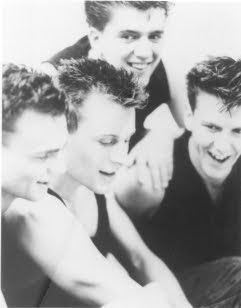 This week on Talking 80s Music we look at the brief but successful career of London's Breathe. 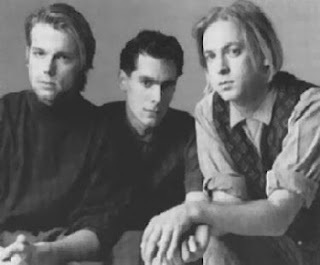 Not many bands have made as strong an impression with just two releases but Breathe could have done it just with their 1988 debut All That Jazz. We featured a retrospective mix, "Any Trick (Like A Monkey)" and "In All Honesty." Check out vocalist David Glasper's MySpace page. The final edit does sound better than we thought. It might not sound like it but it is killing us over here to have to use the noise reduction setting just to cancel out the microphone hum which in turn can add a little echo as well as drops in my voice. So we will be going shopping this week for a cheap interim mic while the other one gets replaced. We just don't quit and are committed (or should be) to getting you your fix each week. 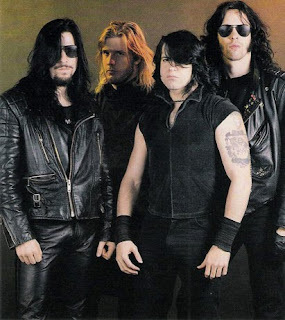 This week we look at the rise of New Jersey rock act Danzig. No, they didn't just come out of nowhere. We will play a retrospective mix, "She Rides" and live versions of "Twist Of Cain" and "Am I Demon." Well worth seeking out their 1988 self-titled debut album. Turn off the lights and beat up some furniture with us. We decided to work in one of our regular after-show callers, Ben, this week. Came out pretty good and we hope to mix in others in the future. Still got the line noise from the microphone and had to process the audio. This tends to drop the softer vocals more so some things get pretty soft. Not able to invest in new equipment at the time so we have to keep trying to work around it. All is well and just getting better. The good news is that we figured out our live audio issue and resolved it. Now we are focusing on the microphone hum. Editing out the noise works in smaller doses but can create an echo effect. Changing out the microphone is a possibility but we just picked this one up a few months back. The noise isn't as bad as before (appears for awhile and disappears) and some of that could be due to the soft noise reduction we ran on the audio during the edit. This week we spent our second week in Germany to focus on synthpop/dance act Camouflage. It's easy to misunderstand a band once they have a big hit single. Some continue striving to create the same song over and over again to regain that ever elusive hit. Camouflage produced two strong albums during the 1980s and found themselves treading water as a duo only to reunite for some solid efforts recently. 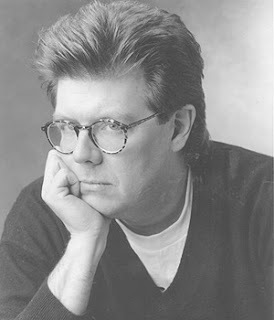 That is evidenced by our retrospective mix and we also featured a remix of "That Smiling Face," "Love Is A Shield" and "The Great Commandment 2001.) Believe the scholars, read the readings... they are worth investigating. You often hear the phrase "one step forward, two steps back." This episode was our two steps back. The live sound in the previous episode was good. This week, there was no sound (except in the studio) when it came to sound effects and music. Luckily, we can always fix that in post-production but a real shame. Hope to have that resolved next week. This week on Talking 80s Music we traveled (no driving) to Germany to focus on metal act the Scorpions. We played a retrospective mix and live versions of "The Zoo" and "Dynamite" while giving an overview of their career which has seen them sell over 75 million albums worldwide. Today we gave our new software a test drive and it held up well. We will now be able to take your calls regularly and our live listeners will get better audio quality. Our next project will be tracking down a background noise but our first guess is that it's a line problem with the microphone. Should be easier to correct than the earlier issues we just resolved.